Second time in Malaysia was in November that same year when we had to attend a training for new managers in Melaka. And being gala that we (me and my batchmates) are, we decided to go ahead of schedule to be able to roam around KL before we headed to Melaka, which is more than 2 hours away from KL. 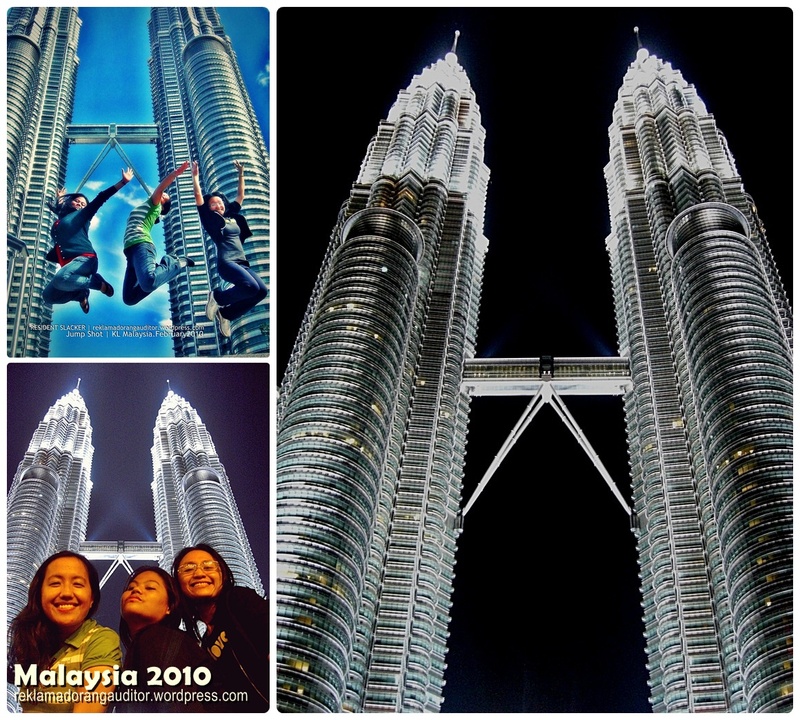 With these trips in Malaysia, we never got pass some aberya along the way. Hassle man, pero keri lang! Ang sarap lang balikan yung mga aberya at i-reminisce kung pa’no namin na-handle yung mga ganung hassle sa trip hehe! Since we came from Singapore, we opted to take the train to Woodlands Station to get into the immigration at midnight before Feb 14. 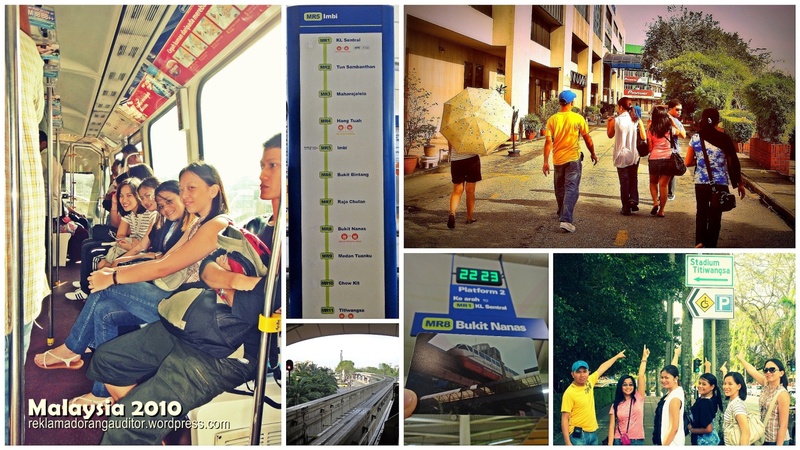 We waited (for almost 3 hours) for a bus to Johor Bahru, Malaysia along with some commuters. And while waiting, we met a stranger (a Malaysian), who claimed to be working as a police in Singapore Airport. He was talking to us and warning us to be extra careful when commuting in Malaysia, since there are a lot of manloloko. He was also telling us stories like some taxi drivers kidnap girls and bring them somewhere and are being forced to get married to them hehehe kaloka! Sa loob loob namin, “hindi kaya isa ka sa mga manloloko sa Malaysia…Kunyari pulis ka, pero sindikato ka pala!” We were a little scared that time, we were keeping our eyes on that guy, dahil baka any moment, makidnap na kame. The stranger suggested a place where we could grab some early breakfast before we head on to the bus terminal. Duda pa rin kame, pero we decided to eat first. 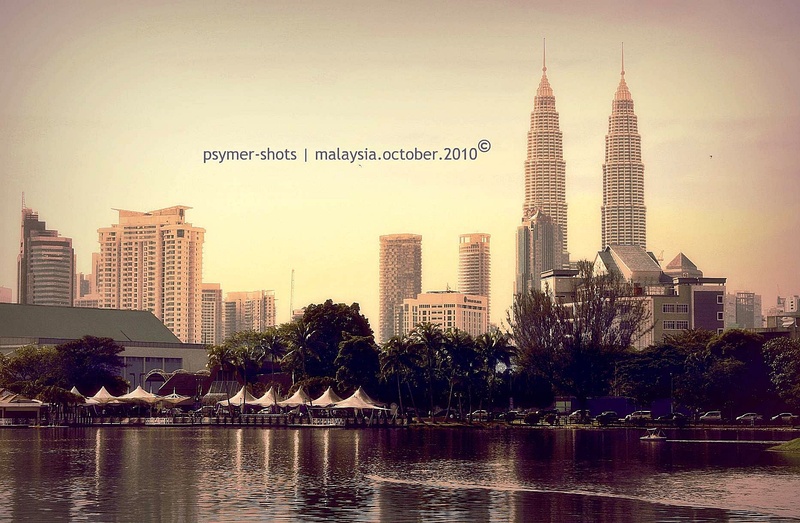 When we reached Johor Bahru, we were searching for a good bus operator to take us to KL. Tama nga, parang Pinas lang, maraming manloloko! Oops! I mean, just because they know that we are tourists, sobra-sobra kung mamresyo ng ticket! 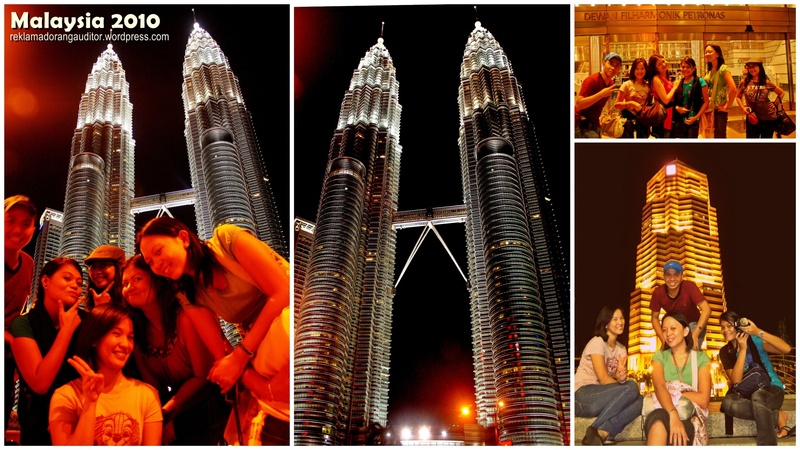 But then, we were so glad we met a local guy who’s also bound for KL, so he was the one who helped us book for our trip. We were on the same bus going to KL, and he accompanied us to the train station (Masjid Jamek) going to KLCC. 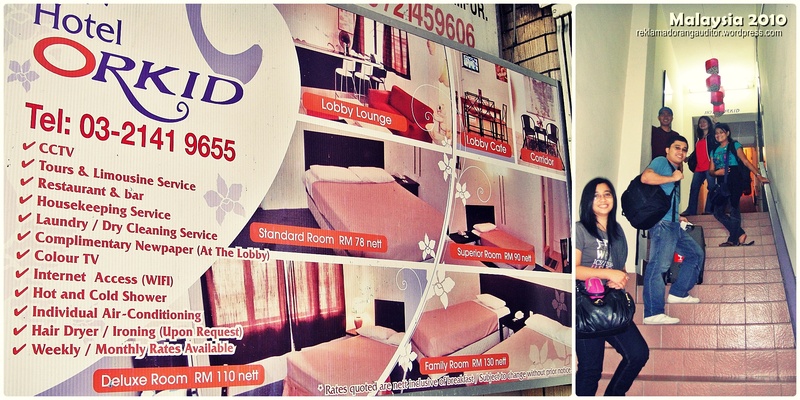 We didn’t know that there was a lot of those Orkid Inns around KL, and so we almost got lost with our luggage. What’s more hassling is to know that there’s no elevator, so we had to take quite a number of steps to check in—the staircase’s steep!… Antaas ng hagdan nyan! While we carry our 15-kg trolley and backpacks hehehe! But eventually, we were settled in. Okay na rin ‘tong hotel, malapit lang sa train station (near Berjaya Times Square), so it was not much of an effort to reach Petronas Towers via train. Kaya hayun, rampa agad after putting down our things sa hotel. 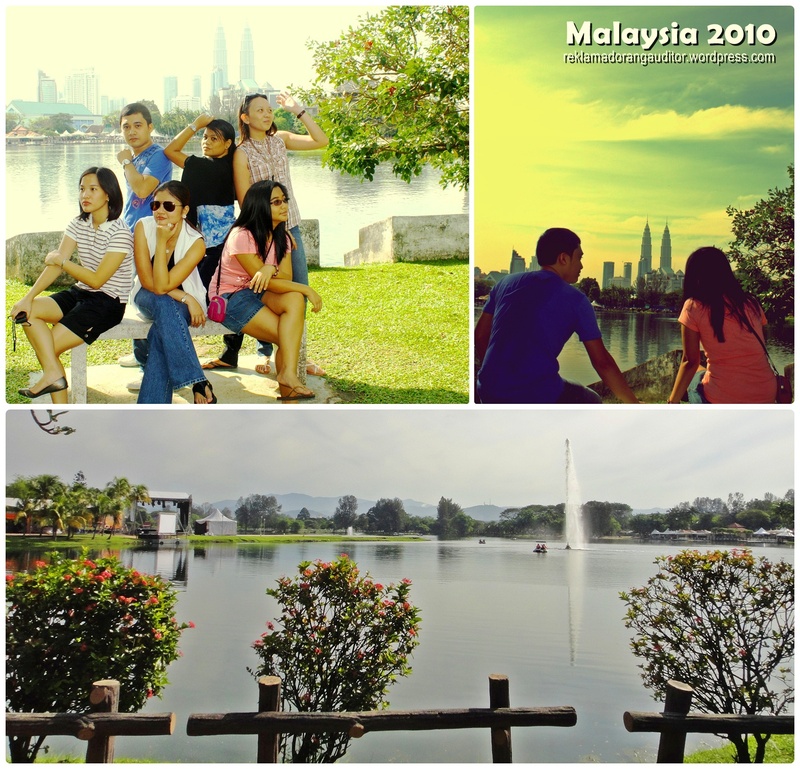 Second day in KL, we planned to visit Titiwangsa Lake (yung na-feature sa movie nila John Lyod and Bea haha!). Doing a tipid trip, we opted to take the train from the station near Berjaya Times Square to a station that we believed to be near Titiwangsa Lake (Titiwangsa Station eh!). So annyare? Alam na, we got lost! :D Anlayo pa pala nun sa lake ehehe, so we walked along the hi-way (na hindi namin alam kung pwede bang maglakad dun!) just to find a cab to take us to Titiwangsa Lake. We were looking for the exact location where Bea and JL’s movie was shot; mukhang di naming mahanap, kaya picture picture na lang sa may park. We had little time to spend in Titiwangsa kaya mabilisan lang. 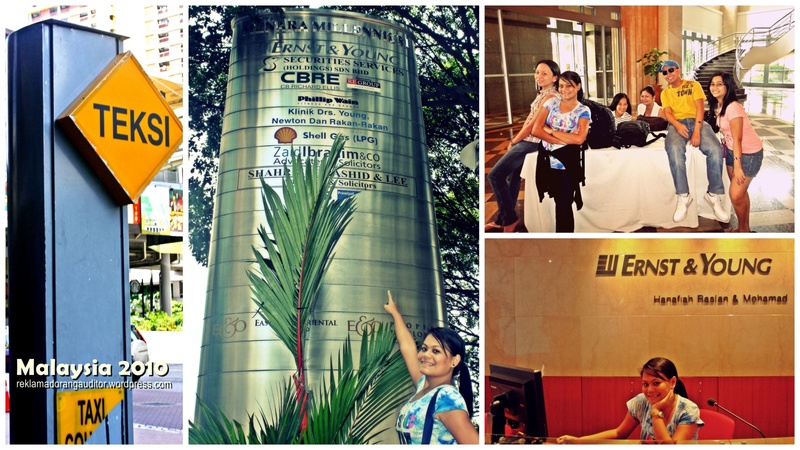 We needed to get back to the hotel to check out at 1pm and we had to go to EY’s office in KL to join the other training participants which are also bound for Melaka via a free bus. As mentioned, our training was going to be held in Melaka, and we had to travel from Orkid Hotel to EY KL’s office via taxi. We (including) the taxi driver were kinda having a difficulty in locating the office, that we were just circling a specific area while we were all perspiring inside the taxi due to the failed aircon system! Hehehe! Sumabay pa sa kamalasan eh! Plus, we had a difficulty also instructing the driver as he can’t really understand much English! Matapos ang magkahiwalay naming gala (Bangkok and Singapore), we were back in KLIA where we were scheduled to fly back home via Singapore Airlines. We were supposed to have a connecting flight (KL-Singapore-Pinas —hehe pabalik-balik kame ni Darren! Haha! ), but then there was a technical problem on the plane that we were supposed to board into for the KL-Singapore flight. We were told that we will no longer take a connecting flight, but instead we will have a direct flight to Pinas via Malaysia Airlines, and we’ve only got like 5-minutes before the Malaysia Airlines will take-off! All our luggage were checked-in already in the Singapore Airlines plane when the announcement was made, so we were worried as to how they could transfer all our things to another plane in 5 minutes! Yung pinaka-hassle pa dun, we had to ride a shuttle and run our way to a different gate to board to the Malaysia Airlines plane—with our heavy backpacks and shopping bags! Ok na sana eh, timing lang ang dating namin sa pintuan ng plane, pero nung nakita namin itsura ng mga ibang pasaherong inip na sa pagtake-off ng plane, yung tipong inis sila samin kase late kame nag-board, hala! Lalo kameng nainis lahat! At ang pinakamatinding aberya, when we already landed in Pinas and we waited for our luggage at the conveyor, we found out that all of our checked-in stuff were not with us in the plane! At hindi daw ma-track kung nasa’n na when we asked the airline’s personnel! Lower left pic: Waiting for our lost luggage! 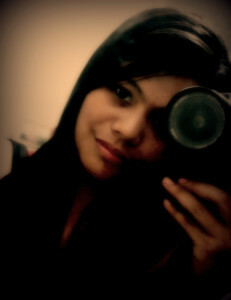 :/ Kame na lang naiwan sa airport oh! 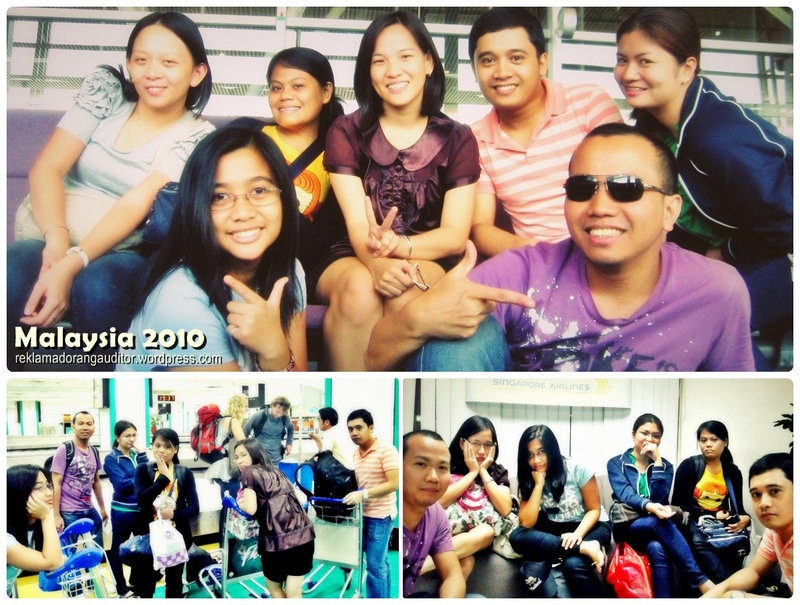 Lower right pic: At Singapore Airline’s office in NAIA, filing our complaint! Hehehe!